A couple weeks ago I shared my recipe for Supergreen Vegan Pesto, one version of the many pesto recipes I have on my blog (including one in my cookbook)! I find that whenever I make pesto, there’s leftover sauce kicking around. Usually, I freeze extra in the cubes of an ice cube tray or 4 ounce glass jam jars for keeping on-hand during the winter, but more often I keep it in the fridge waiting for another excuse to polish it off. For example, I like upgrading a caprese salad by stirring in pesto with olive oil and drizzling it over fresh mozzarella and tomatoes. Mmmmm. 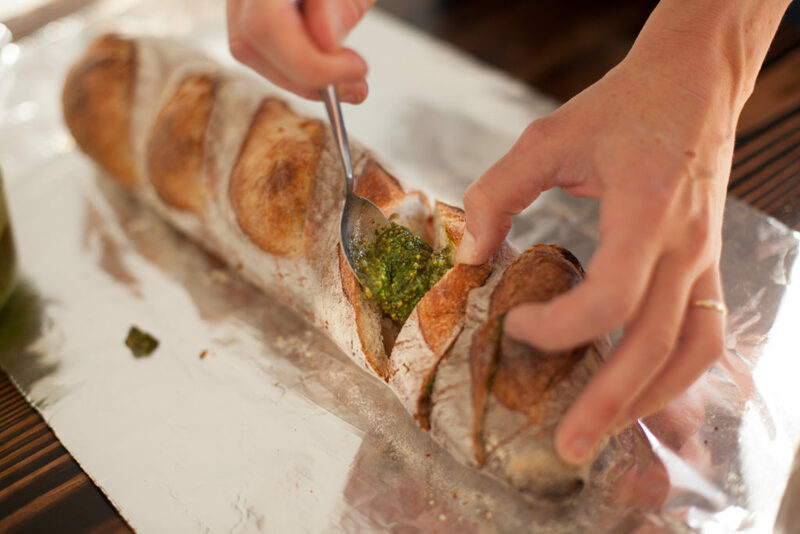 But one of my all-time favorite ways to use pesto is to make Pesto Baked Bread on the grill (though the oven works just fine and I’ve included instructions below). This is a spin on traditional garlic bread. It’s just as easy, and yet, a bit more luxurious! I like to make several loaves and then plop them in the middle of the table for folks to tear with their hands and crunch away or mop their plates clean. PS. 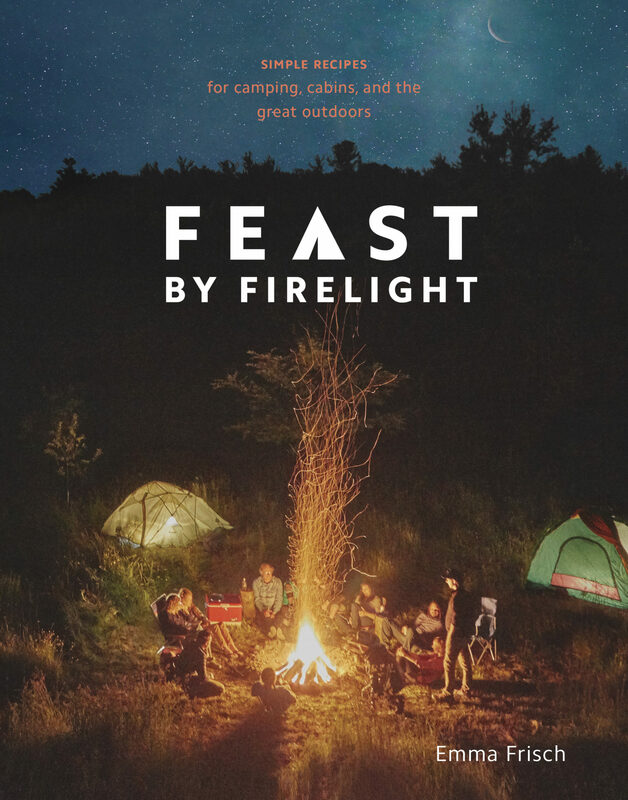 I hope you can join me for one – or both – of these exciting, summer celebrations, featuring recipes from Feast By Firelight! 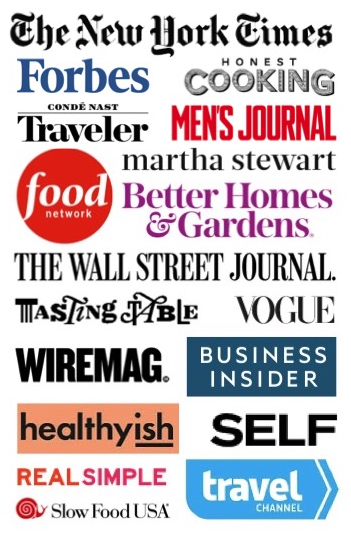 Thursday, July 26th at Firelight Camps: Cookbook-inspired feast prepared by local, all-star Chef Frank Purazzi, live music from the amazing stringband Sister Val (composed of local farmers and producers), nature-inspired face painting, wildcrafted cocktails and cookbook signing! We’d love to have you join and stay for the night! Free & family-friendly (cash/credit for food and drink). Details here. This is one of the simplest and most satisfying of starters. Make extra loaves for servings with dinner. It makes an excellent plate mop. Lay your loaf on a clean surface, with the natural top of the crust facing up. 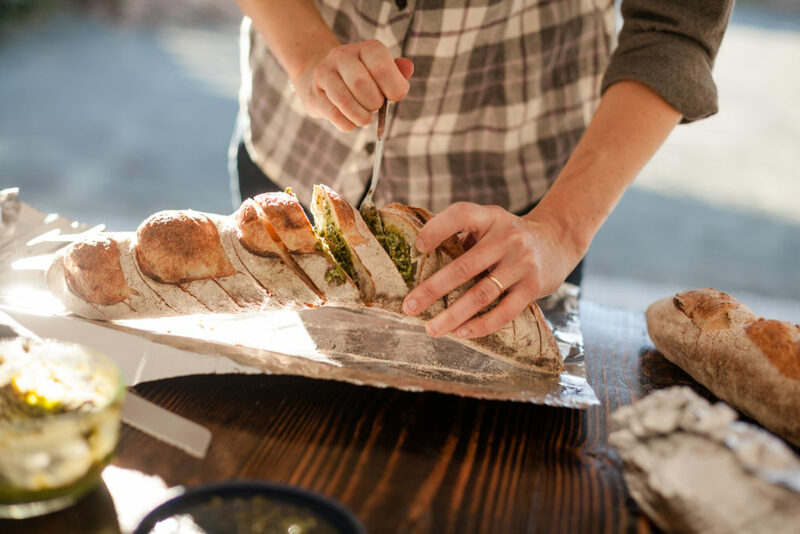 Use a serrated knife to make 1/2-inch slices on a diagonal, cutting to 1/2-inch from the bottom of the bread. You want the loaf to remain in tact. 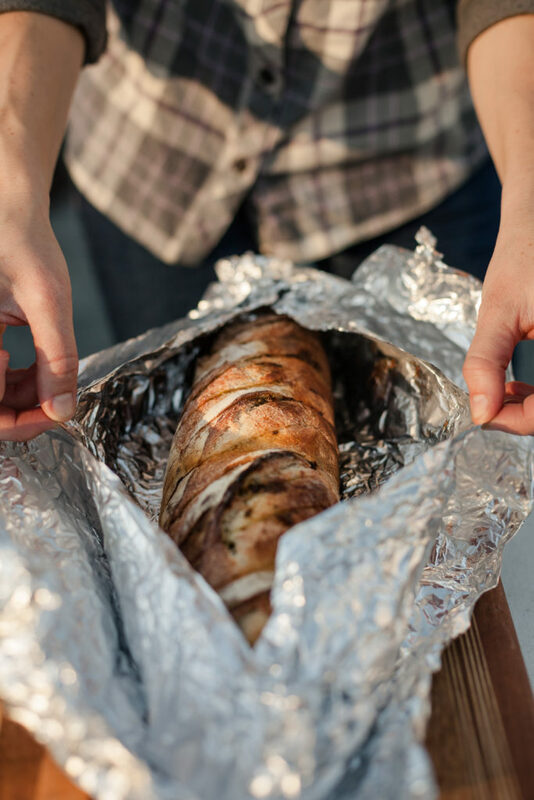 Transfer the loaf to a sheet of aluminum foil, measuring the foil four inches wider and longer than the loaf. Spread the slices apart with one hand and use a spoon to spread in between each slice. 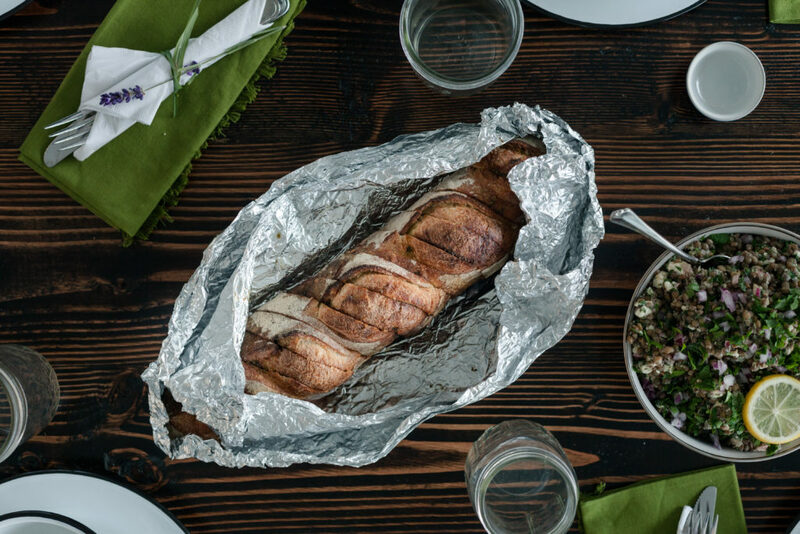 Wrap the loaf in the foil so it is completely covered. Place the bread over direct heat for 5 minutes, allowing it to toast. Transfer the loaf to indirect heat for another 5 minutes to warm it through. (You can also make this over the campfire by placing it directly on red, glowing embers for 5 minutes). Keep wrapped and warm until ready to serve. Before serving, open the foil and allow the steam to escape and the bread to cool slightly. 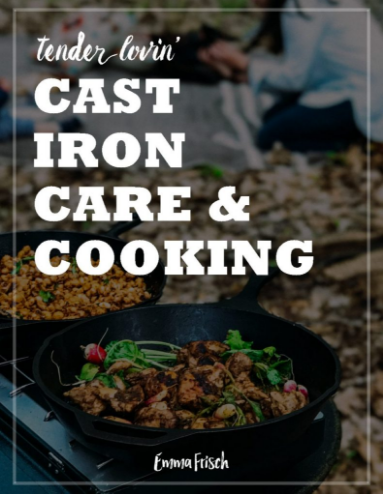 To cook in your home oven, preheat the oven to 350 degrees Fahrenheit and bake for 10 minutes.